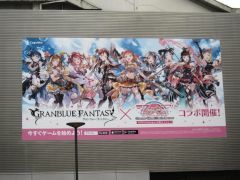 In August 2018, there was a large advertisement next to JR Akihabara Station for the Love Live Sunshine collaboration in the Granblue Fantasy game. 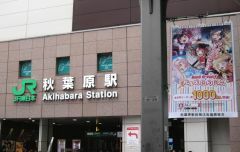 In the middle of August 2018, the pillars on the north side of JR Akihabara station had Bang Dream advertisements. 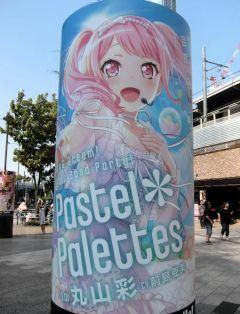 Between August 10 and August 12, 2018, there was a Bang Dream Girls Band Party event in Akihabara. There was a stamp rally, and those who completed it received a small clear file. 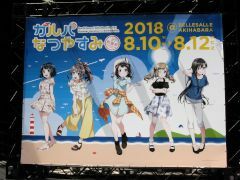 At the beginning of August 2018, there were tapestries on the south side of JR Akihabara station for Bang Dream Girls Band Party. 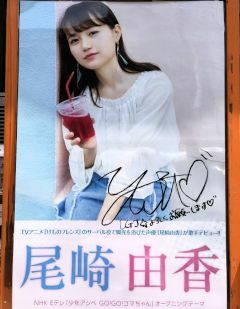 Ozaki Yuka "Let's Go Jump"
At the beginning of August 2018, there was a store side advertisement for the solo debut single by Ozaki Yuka. 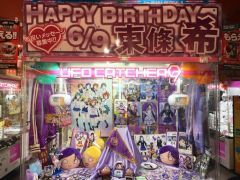 June 9th was Tojo Nozomi's birthday, so there were some decorations at the various game centers in Akihabara. 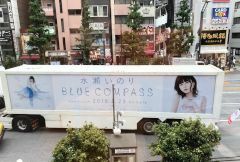 At the end of May 2018, there was an advertisement truck going through Akihabara for the latest album by Minase Inori. 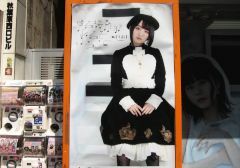 Yuuki Aoi "Kaeru Basho ga aruto iukoto"
In May 2018, there was a store side advertisement for the latest CD by Yuuki Aoi.